Bob Aaron is a fellow real estate lawyer and has been a Toronto Star columnist for many years. 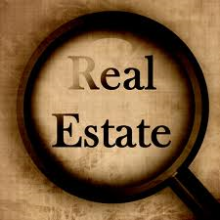 Bob wrote a recent article arguing that “legal fees are the best consumer bargain in the entire real estate transaction”. The article can be found here. I have often faced the same inquiry about fees from potential clients – often with the caller stating that they can get a cheaper price somewhere else. As with any product or service, I am a firm believer in the mantra ‘You get what you pay for’. If you are looking for a non-lawyer to do most of the work on your file and ‘maybe’ meet with you to sign the documents, then you will likely pay rock bottom prices and hope that your transaction goes smoothly, both before and after closing. If you are looking for an all-inclusive, premium service, instant response to your questions and some hand holding by the lawyer along the way, then look for a firm that offers these details and in many cases, your fees will be average to high. Regardless of which lawyer you choose and the fee you pay, an interesting fact is that Real Estate lawyer fees for both a purchase and a sale are on average lower today than they were 10 years ago. Bob Aaron is right on target when he says that real estate lawyers do not ‘waste’ your money and that real estate legal fees are a bargain. In my opinion, the most important role of the real estate lawyer is to ensure the client is protected in all the details of the Agreement of Purchase and Sale. There are an infinite number of ways that a real estate deal can fall apart in the blink of an eye and potentially cost you thousands of dollars. A good real estate lawyer, along with your real estate agent and other members of your ‘team’, is there to ensure you are prepared and protected as much as possible. Each client will place a different value on this service. The big question is – what is good advice and expert knowledge worth to you? ?